‘AXN 1’ has been fitted since new with the attractive "Coupe des Alpes" style coachwork by Vanden Plas, one of the most renowned coachbuilders of the inter War period. Named in honour of the company’s Alpine successes, this is one of four different styles (and to our mind the most attractive) they made for this chassis, of which they bodied eighty in total. 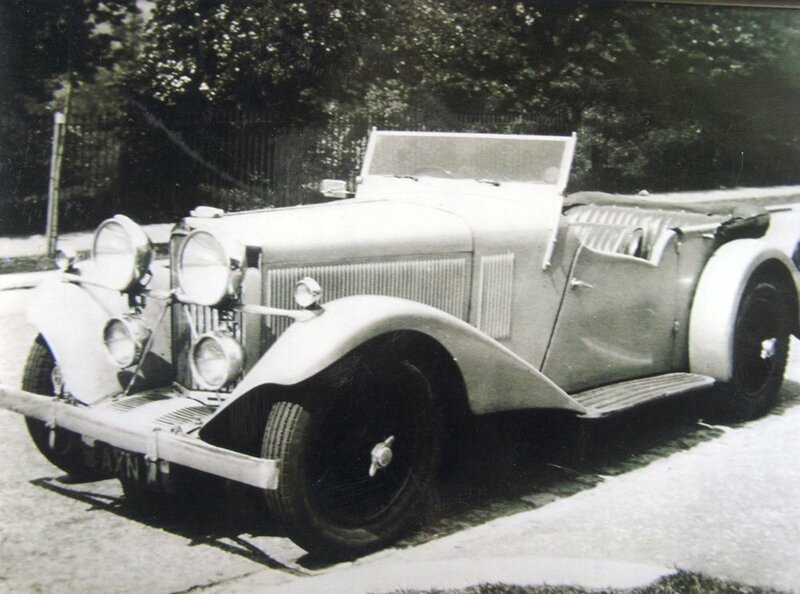 With elegant looks, full width mudguards a reasonable sized windscreen and effective doors, coupled with the ultra-user friendly pre-selector gearbox and all the usual AV105 qualities, this makes an exceptionally effective pre War car. This is a fundamentally very correct and rare "Matching numbers" (chassis/engine) example and the Continuation Buff Log Book shows only five different owners since 1938. This commenced with William Lang in 1938 who purchased the car for £90 (see letter on file from his grandson) from well-known London based dealer in exotica Brian Finglass of Speed Models Ltd of Notting Hill Gate (as evidenced by the plaque still on the dashboard). 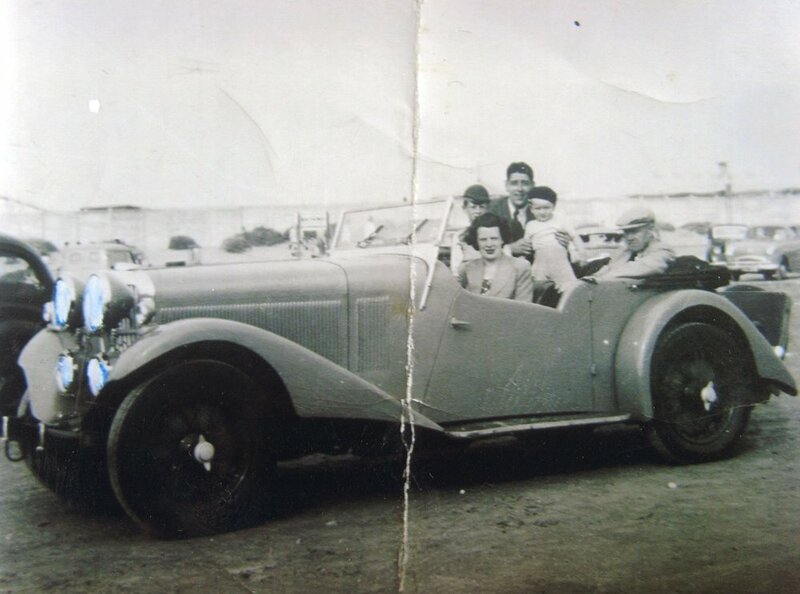 Mr Lang would enjoy the car, using it for Sunday jaunts and tours with the family to Scotland, as illustrated in the most evocative photographs on file. Mr Lang would keep ‘AXN’ until his death in 1961 when the car passed to Albert Fenton, Mr Fenton left the car in storage in his native Blackburn until it passed into the hands of Mr Frederick Smith of Preston in around 1970. He would embark upon the restoration of the car, it is believed rebuilding the engine in conjunction with leading Talbot specialist of the period John Bland (see correspondence and bills on file). It is thought this restoration had only just been completed when Mr Smith died and the car passed into the ownership of his wife in 1978 and subsequently his son. ‘AXN 1’ would remain in the ownership of the Smith family, although little used until the car passed into the current owners hands in 2001. Again the car has been used sparingly for touring, until the current owners ill health has forced him to reluctantly part with the car. Presenting well in ivory with good quality burgundy trim, at least part of which appears original and with a good solid body, ‘AXN 1’ would make a good useable touring car. Vanden Plas bodied Talbots as when new are very effective long distance tourers, easily keeping pace with modern traffic. ‘AXN 1’ would be particularly suitable for continental touring and long distance rallies.